woxic: "I want to add a lot of titles to my career"
We caught up with Özgür "woxic" Eker ahead of his mousesports LAN debut at ESL Pro League to discuss his time at HellRaisers and what the future holds with his new team. 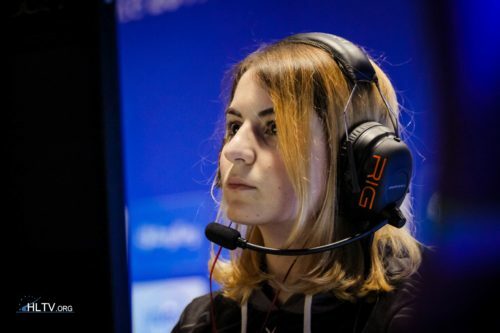 The 20-year-old Turkish player joined mousesports in March following a 19-month stint with HellRaisers. He will make his first LAN appearance with the team this weekend, in the first stage of ESL Pro League Season 9 Europe, in Leicester. We interviewed woxic to ask him about his transfer, what it's like to play under Finn "karrigan" Andersen, his team's Pro League group opponents, ex-Space Soldiers, North and OpTic, and more. 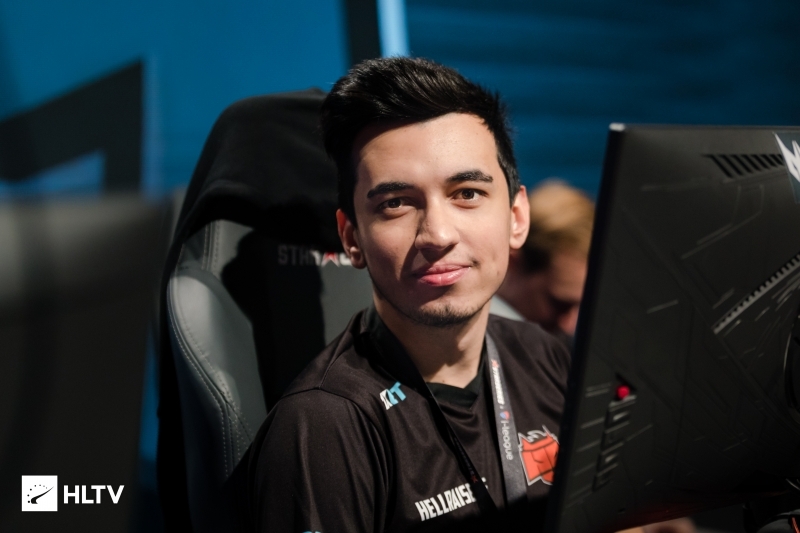 You played for HellRaisers for more than one and a half years in what was your first adventure outside Turkey. Can you talk about the impact of this period in your personal and professional life? First of all, sharing the server with the HellRaisers players in a good few events was a big opportunity for me to improve. I can say that it was a good test to my abilities at the start of my journey, to see what I could do and at which level I could compete. The approach to the game is completely different than in Turkey, so transitioning from that to the European level, especially as I had to communicate in English, both scared and excited me. I really couldn't predict what would happen if I were successful. But instead of wasting time, I focused on my game and my English to get to the highest level I could. Now, after my transfer to mousesports, I want to add a lot of titles to my career. My hunger and enthusiasm for the game are at an all-time high. Did you get offers before mousesports approached you? Why did you decide to go to mouz in the end? Yes, there were other interested parties, but because I had another year in my contract, they didn't want to pay the buyout fee (expensive kebab). I didn't think I could reach my goals in those teams anyways. I have had a big brother, little brother relationship with karrigan for a long while. When he became the mousesports captain and said he wanted me in the team I got really excited. I thought that maybe the team that I could win titles with was suddenly ahead of me. Also, because mouz is a storied organization, I could guess how professional they would be on their side. Based on my experience so far, I can say that both the players and the organization are very professional. You have been playing with karrigan for a while now. Can you talk about his approach to the game? I can say that he is a legendary player and leader. I'm really happy to get to play with him before he ends his career. I know that I will improve alongside a smart leader. He knows how to utilize me in the best way possible. I feel at ease and secure when I'm under his leadership. Did you set a personal goal going into this new chapter in your career? As everybody can guess, I want to win the Major one day and get a good placement in the Top 20 players of the year list. The new roster will make its LAN debut at ESL Pro League Europe on April 12. You are in the same group as your fellow countrymen from ex-Space Soldiers. Have you got anything to say about their current situation? As you know, ex-SS lost a lot of firepower after XANTERES left. imoRR took his place, and even though he is of course not as experienced as XANTARES, he has the potential to reach a similar level with hard work. We haven't had a practice game with them so I don't know how much work they've been putting in or how much synergy they have with the new roster. The other teams in your group are OpTic and North. What are your chances in Leicester this weekend? I think we will make it out of the group stage. OpTic has some new players but I think they will be ready, just like North. Let the best team win! What are your thoughts on the Pro League's transition to LAN? The old format, with long league weeks, instead of LAN groups, required a lot of extra work. I think that going to LAN with preparation is much better than playing online every week. Even though Vertigo won't be used here, it will soon replace Cache in almost all tournaments. What do you think about the new map and have you started practicing it? It was a confusing map at first, but you get used to it in time. We have already started practicing it as a team. Last but not least, have you discussed your long-term goals with the team? Have you set a goal to get into the Top 5 or Top 10? Of course, our main goals are to get into the top 5 and qualify for the Major. +1 I wish for him. GL! Why woxic without awp ? Because guardian is way better. If you want a switch it should be adren. Cause he started at tier30 Turkish team and Space Soldiers dominates them. try it at the "Turkey East Championship" or some small $5 tournaments if you're for real. LOL magisk is in the best team in the world, its not too hard to win trophies! Wake up to life, mouz, it's trash. so you make your decisions 1 week after they made the team?? you’re a liar you have 0 ethic and this topic is dead for me Cheers my friend, to us both. Then become liquids main awper scrub. New roster retard. Give your head a shake. You already lost the fight. Can you stop trying say something to rekt me? Answered me after a day. probably you tried to learn history about us lol. You are talking about 1600s but im talking about this situation, dont try to rekt me with history because we both know if we start talk about that you will lose again. "Cave" Turkey is better than your whole country. hahaahahahahahahaha dear god you still cant access google I guess. blocked by erdogan? I don't get why woxic gets so much hate on this website. "look at his fing sens wtf!" Not with Karrigan dude. Axaxa. He might be a bit weak on fragging side, but a great IGL. Add? More to his currently 0 titles? Wow, a professional esports players wants to win titles. Who would’ve thought. imo, he has talent. but nothing special. what said lot experienced? Woxic is going to give them the pleasure of the good KEBAB. Best Turkish player atm. I wish the best for him. he's a very talented awper. watched some recent streams from bootcamp, pretty sure he'll be in top20 this year if he doesn't choke on lan and team attends enough events. exited to see this kebab on mousesports.